This is an interesting app, one that any super hero and LEGO lover should enjoy. It’s called LEGO TV, and it streams movies made with digital LEGOs straight from the company’s YouTube channel to your device. 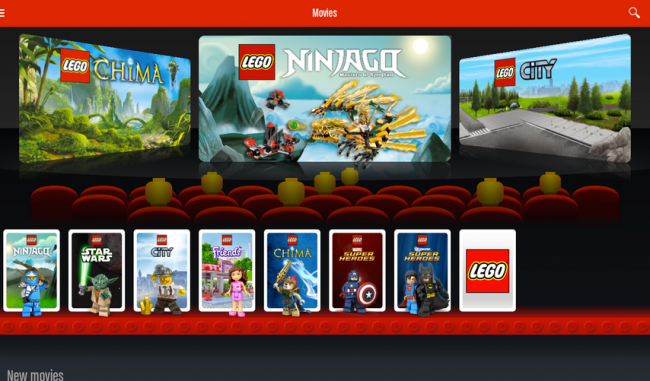 You can watch the movies while online or offline, as they have added the ability for users to store movies on their devices, that way they can watch them whenever they want. Stuck underground in the subway? That’s LEGO movie time. It might seem silly, but the movies are quite adorable, and kids should also enjoy their quality and silliness. There are movies ranging in topics, including super heroes, as well as classics like Star Wars. You can’t go wrong with Star Wars. The app is free to download, so go check it out for nostalgia purposes.